Avoid criticizing referees. This teaches the child to have a victim mentality and reinforces that it’s okay to blame others for his/her performance. Even if the call is wrong, the referee is doing his/her best. Use ENCOURAGING comments during the game. Save constructive feedback for one-on-one discussions with your child after the emotion of the game has passed. Show unconditional support. 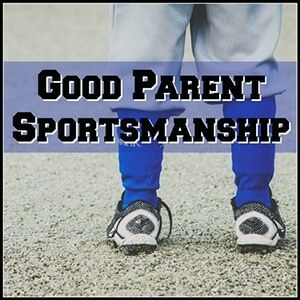 Immediately following the game – win or lose – put your arm around your child and give encouraging feedback. Focus on effort and improvement versus winning or losing. If the child believes it’s all about winning – he may come to believe he can never please you. Comment on the improvement since the beginning of the season or since last year. Acknowledge how his/her extra practice is showing on the field. The child will naturally bring up the topic of whether the team won or lost. Celebrate wins – but tie them to specific behaviors. What did your team do (or did you do) that contributed to the win? Same thing for losses – what could your team/you do differently next time? Counter-balance your child’s complaints about the referee. Remind the child that both teams had the same referee and like players, some referees are more skilled and experienced than others. It’s part of playing sports. Come Clean. If you do “lose it” during a game, come clean with your child after the game. Let him/her know that you were frustrated/angry with the referee/the other team, etc. – but it is NOT OKAY to demonstrate that frustration/anger with yelling and behaving poorly from the sidelines. There’s a lot to cheer for when it comes to athletics. 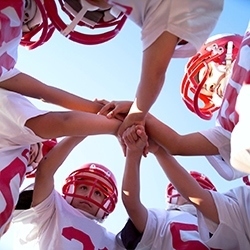 Not only do our kids develop a sense of teamwork and stay in shape, they develop traits such as responsibility, accountability and resilience. Follow these tips to be your child’s biggest fan on and off the field.